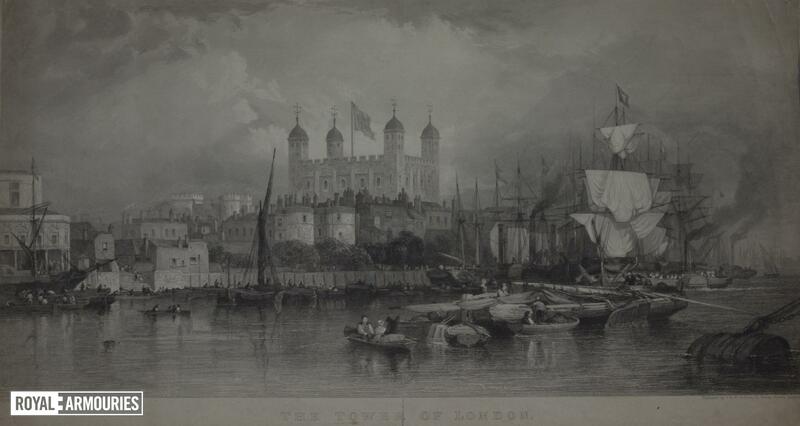 Steel engraving of the Tower of London from the south, with the wharf and much shipping. Signed 'E. 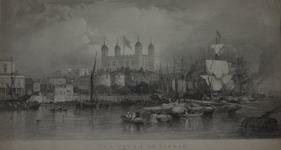 Duncan', engraved 'T.A. Prior'. Also signed E. Duncan 1850 on a prominent buoy in the right foreground. Published J. & W. Robins, 57, Tooley Street, London.